Format: Two man competition. The first six holes will be played as a two person modified alternate shot. The second six holes will be played as a two person best ball and the last six holes will be played as a two person scramble. Tees: All players will play the tees your handicap is established from. 25% of combined team handicap will apply for net competition. Cost: $ 80 per player. Prizes will be awarded in both gross and net divisions. The Hawks practice schedule is 4:30 to 6:00 on Tuesday, 6:00p to 8:00p on Thursday, and 4:00-6:30 on Saturdays. Please check out the Team Golf schedule and sign up information at ntpga.com. Click on Team Golf for the info. Coach Dave also offers an "Intro to Junior Golf" clinic every Saturday from 12:00-1:30. Please call 214-354-3517 or email Dave to sign up for the class. 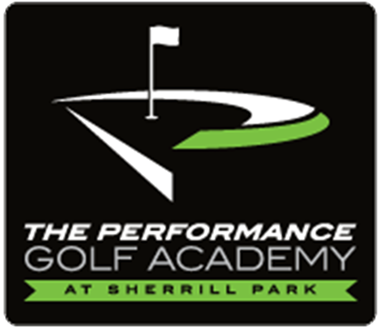 The Sherrill Park Learning Center Powered by Titleist® offers golf instruction to new and intermediate golfers. Our groundbreaking approach is to teach golf in a fun, non-intimidating environment and transition players from the driving range to the golf course while creating new golfers. The Golf It Up program provides instruction for the new golfer to the intermediate player with varying levels of skill. The 4 week program includes: 8 Hours of instruction (7 hours on the driving range, chipping, putting green and 1 hour on the golf course with your instructor). The student to teacher ratio is 6 to 1. Pricing: $ 135 per student. Program dates and times are listed below. For questions, call the Sherrill Park Golf Shop at 972-234-1416, visit www.sherrillparkgolf.com or e-mail spgolf@cor.gov. Have a look at upcoming events and update your own calendar. Visit my site to view the tip of the week.